The Latin America Public Opinion Project (LAPOP) implemented this survey in Colombia as part of its 2012 round surveys. The 2012 survey was conducted by Vanderbilt University and Universidad de los Andes, and the Observatorio de la Democracia with the field work being carried out by the Centro Nacional de Consultoría. In the process of migrating data to the current DDL platform, datasets with a large number of variables required splitting into multiple spreadsheets. They should be reassembled by the user to understand the data fully. 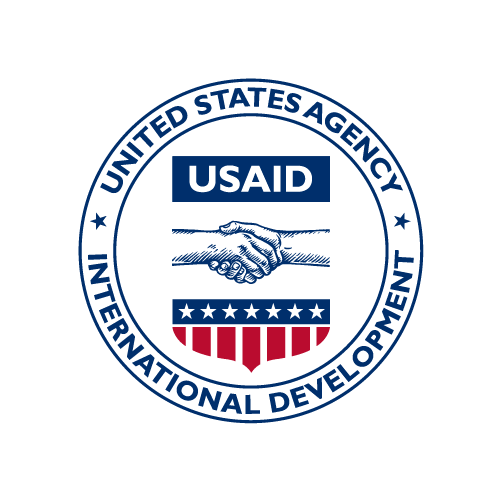 The Monitoring and Evaluation (M&E) Clearinghouse-Monitor is a web-based Information System that provides the Mission with information about the status and progress of all USAID/Colombia projects and activities. It is a custom-built, dual-language (English and Spanish) system (http://www.monitor.net.co/) developed by DevTech that debuted in January 2011. It features a central Performance Management Plan with information of more than 5,000 sub-Activities, approximately 100 indicators with different disaggregation features, a reporting capability, and information management to include environmental compliance. Monitor is currently being supported through a contract with a local company (Heinsohn Business Technology) that basically provides: (A) support to the system operations and delivers training for all the users from USAID/Colombia and its Implementing Partners, (B) carries-out mutually agreed software updates, (C) supports an operates the web-hosting platform and all the related services to keep the software up and running, and (D) deploys its technical expertise and capabilities to keep the system up and running. In the process of migrating data to the current DDL platform, datasets with a large number of variables required splitting into multiple spreadsheets. They should be reassembled by the user to understand the data fully. This is the second spreadsheet of twoin the The AmericasBarometer by the Latin American Public Opinion Project (LAPOP)-Colombia, 2012 - Data. In the process of migrating data to the current DDL platform, datasets with a large number of variables required splitting into multiple spreadsheets. They should be reassembled by the user to understand the data fully. This is the second spreadsheet of twoin the The AmericasBarometer by the Latin American Public Opinion Project (LAPOP)-Colombia, 2010 - Data. A part of the 2014 round of public opinion surveys implemented by LAPOP, the Colombia survey was carried out between March 28st and May 5th of 2014. It is a follow-up of the national surveys since 1991. The 2014 survey was conducted by Vanderbilt University and the Universidad de los Andes and the Observatorio de la Democracia with the field work being carried out by the Centro Nacional de Consultoria (CNC). The 2014 AmericasBarometer received generous support from many sources, including USAID, UNDP, IADB, Vanderbilt U., Princeton U., Université Laval, U. of Notre Dame, among others. The Latin America Public Opinion Project (LAPOP) implemented this survey in Colombia as part of its 2004 round surveys. The 2004 survey was conducted by Vanderbilt University and the Centro Nacional de Consultoria in Colombia. The Latin America Public Opinion Project (LAPOP) implemented this survey in Colombia as part of its 2012 round surveys. The 2012 survey was conducted by Vanderbilt University and Universidad de los Andes, and the Observatorio de la Democracia with the field work being carried out by the Centro Nacional de Consultoría. The Latin America Public Opinion Project (LAPOP) implemented this survey in Colombia as part of its 2010 round surveys. The 2010 survey was conducted by Vanderbilt University and Universidad de los Andes, and the Observatorio de la Democracia with the field work being carried out by the Centro Nacional de Consultoría. In the process of migrating data to the current DDL platform, datasets with a large number of variables required splitting into multiple spreadsheets. They should be reassembled by the user to understand the data fully.